When people ask where I come from, I usually answer ‘north-west England, almost Scotland’. If there’s a flicker of recognition in the listener’s eyes, I narrow it down a bit more to ‘Carlisle’ (I was born in the City General Hospital) on the basis that they may have heard of that. 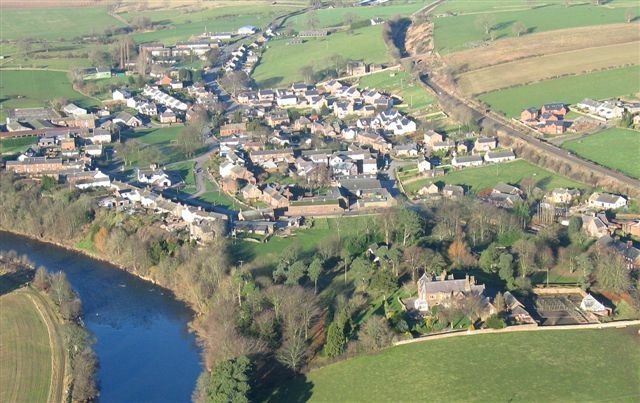 The next level of detail is ‘a village in the Eden Valley near Penrith’, and if they have heard of Penrith, I say ‘Langwathby’—the settlement (by, as in Danish) at the long (lang) ford (wath, Irish ath). My mother was brought up nearby in Kirkoswald and married my father from Langwathby. Both were children of butchers, Cranstons butchers (her dad’s firm) still going strong. The Eden is one of the few north-flowing rivers in the British Isles. It makes its way from the source in Yorkshire (you can understand the hurry to get out of Yorkshire) to the Solway Firth between England and Scotland, passing on its way Kirkby Stephen, Appleby, Langwathby, Lazonby, Armathwaite and Carlisle, and joined by the rivers Lowther and Eamont bringing water from Haweswater and Ullswater. 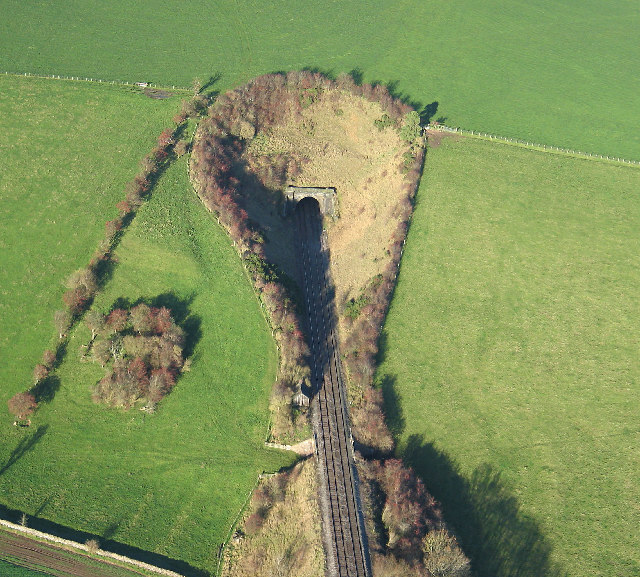 Its 70 mile journey provides a home to the Settle-Carlisle railway from Ais Gill summit to almost sea-level at Carlisle. It is surprisingly untouristed compared to the miniature Switzerland of the Lake District less than 10 miles to the west, and the Pennine moorlands to the east. It is gentle, rolling, pastoral, farming and growing land. It’s a surprisingly red area, not politically (Willie Whitelaw country, remember him?) but geologically. Red sandstone buildings, walls and outcrops. A ‘warm’ stone, not the cold blue-grey of Keswick or Kendal. 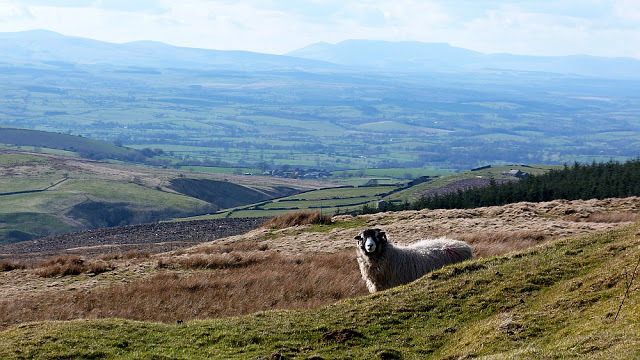 Eden Valley – or is it Laois? It’s a bit like the area round Portlaoise. Hills not too far away, drumlins dotted about, good views, farming, damp windy weather much of the time. When I was in my teens I couldn’t wait to get away from the Eden Valley, and here I now am in an area quite like it. Karma I suppose. Both places are windy. The local wind in the Eden valley is the Helm, the only named wind in the British Isles (according to Wikipedia, so it must be right). It’s a fearsome force, capable of inflicting great damage. I think that the windiness there and here leads to a rather surprising similarity in the way the locals speak, for in both places they seem unwilling to open their mouths much. Sometimes, in fact, you can hardly see the lips move. This makes it quite difficult for me, for I rely on lip-reading to an increasingly large extent. It’s not the volume, but the articulation, the diction (or lack of it), that catches me out. This morning the GP told me to get a new hearing aid. I have one, but it tickles, and magnifies everything. I had two but the dog ate the other. Why should there be this lack of dictional lip activity? I conclude that were people to open their mouths any wider when they spoke, the fierce winds would blow into their oral cavities, inflating the cheeks like balloons, and the poor dears would be borne aloft, never to be seen again. Somewhere over the rainbow ….